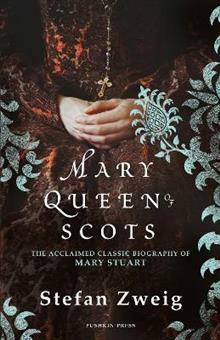 Stefan Zweig's classic biography of one of British history's most fascinating figures, rereleased in a new edition to tie in with launch of the major new Hollywood film, Mary Queen of Scots. From the moment of her birth to her death on the scaffold, Mary Stuart spent her life emb... read full description below. Stefan Zweig's classic biography of one of British history's most fascinating figures, rereleased in a new edition to tie in with launch of the major new Hollywood film, Mary Queen of Scots. From the moment of her birth to her death on the scaffold, Mary Stuart spent her life embroiled in power struggles that shook the foundations of Renaissance Europe. Revered by some as the rightful Queen of England, reviled by others as a murderous adultress, her long and fascinating rivalry with her cousin Elizabeth I led ultimately to her downfall. Zweig, one of the most popular writers of the twentieth century, brings Mary to life and turns her tale into a story of passion and plotting as gripping as any novel. Stefan Zweig was born in 1881 in Vienna, a member of a wealthy Austrian-Jewish family. He studied in Berlin and Vienna and was first known as a translator and later as a biographer. Zweig travelled widely, living in Salzburg between the wars, and enjoying literary fame. His stories and novellas were collected in 1934. In the same year, with the rise of Nazism, he briefly moved to London, taking British citizenship. After a short period in New York, he settled in Brazil where in 1942 he and his wife were found dead in bed in an apparent double suicide.